Cloud computing has become a staple of most enterprise computing environments, but CIOs are still sweating over whether to use one or more infrastructure-as-a-service provider. For decades, enterprise computing environments have been composed of servers, storage and networking equipment developed by different vendors. Those choices often hinged on the best products to power applications and data -- as well as the enticing volume discounts tossed into enterprise agreements. A similar scenario is playing out in cloud computing infrastructure, where CIOs are grappling with how to best architect systems for multi-vendor, hybrid cloud strategies. A telling exchange on cloud vendors occurred during the Wall Street Journal’s CIO Network event last month when an audience member shared his perspective on the challenges of choosing between different cloud vendors with Adrian Cockcroft, vice president of cloud architecture strategy for Amazon Web Services (AWS), who was speaking on stage. The executive – whose organization had begun using AWS -- said splitting computing workloads between vendors is an essential hedge against selecting a vendor that could elect to turn off services without notice. Cockcroft suggested an enterprise agreement prohibits such actions and noted that committing resources to multiple cloud platforms is resource-intensive and costly. "If you go for a 50/50 split and use lowest common denominator, you’re really hobbling yourself," Cockcroft said. "You’ll go more slowly, because you’re having to train your people twice. You’re cutting your ability to get a volume discount in half, so you don’t get as good pricing because you’ve got two vendors there. What we’re seeing is that predominantly you want to pick one vendor and maximize that footprint." While the answer may be an easy one for an AWS executive, it’s an quandary CIOs must solve as they decide whether to jettison their data centers entirely or share workloads between their data centers and the public cloud infrastructure, a market Gartner projects to grow 36.8 percent in 2017 to reach $34.6 billion. Both executives have valid points, analysts say. CIOs' notion of a single cloud platform that is low-cost, provides perfect scalability and security for every application and does so with virtually no vendor lock-in is considered a holy grail for a reason: You just can’t find it. "Organizations will become multi-provider whether they realize it or not," says Mindy Cancila, a Gartner analyst who covers cloud computing. "Those building multi-provider strategies realize this is likely to be the end state." It wasn't always so. A few years ago CIOs began testing applications in AWS to see how the public cloud worked and eventually moved their workloads into more production-ready states (or abandoned the applications). But software now defines much of the business world. Companies virtually have an app for everything and many of those apps have different availability and security requirements. Meanwhile CIOs’ options expanded as Microsoft beefed up Azure's capabilities, provided a smooth on-ramp from Office to 365 to Azure, and tossed several irresistible volume discounts at companies “And all of a sudden you have an organization that was largely invested in AWS that said, ‘oh but wait… now we have Azure,’" Cancila says. Google Cloud has come on of late, landing the likes of Spotify and Snap, which are paying the search giant $2 billion in a whopper of a cloud contract. 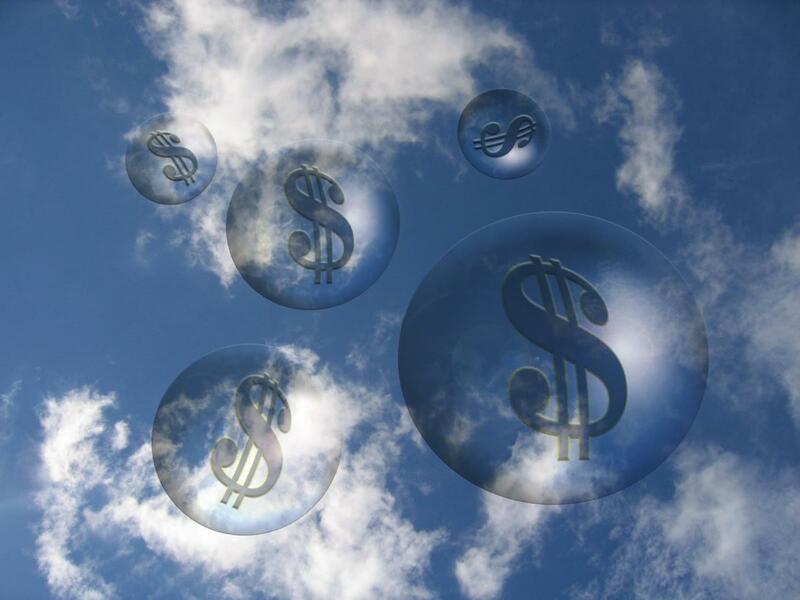 CIOs' cloud decisions are guided by many variables, including cost, scalability, security and regulatory concerns, but their choices should be based on a big question, analysts say: What is the right cloud service for their application? Azure may make the most sense for companies whose apps are largely based on Microsoft .NET, while AWS may be the optimal choice for enterprises hosting a number of Linux deployments. A retail organization uneasy about getting in bed with AWS may opt for Azure or Google Cloud. A financial services or healthcare firm may choose one cloud over another because of the vendor's capability to adhere to industry regulations. What shouldn't guide CIOs is a concern about lock-in because it is inevitable. For various reasons, CIOs have been locked into ERP, database and email systems from Oracle, SAP and Microsoft for decades. Cloud services are no different, says Dave Bartoletti, a Forrester Research analyst who follows the cloud market. Generally, it isn't difficult to move from one cloud service to another until a company initiates some custom service that creates additional dependencies on other services within a cloud. For example, it isn't hard to move an app from AWS to Azure unless the app running AWS is also depending on the vendor's load balancing, domain name and relational database services. Dave Bartoletti, Forrester Research analyst. "The more you take advantage of specialized services in cloud, the more dependent you become on that cloud," Bartoletti says. He says that CIOs must balance their desire to standardize for cost and efficiency with the desire to innovate and create high-performing apps that are nimble. "While we for years have liked to talk about having a single pane of glass and the idea that we are not locked in to a single provider, lock-in is inevitable," Cancila says. Cancila tells clients to pick a couple of strategic cloud partners, start small and build out the expertise in working with those providers. She recommends clients start small by testing a cloud solution before inking an enterprise agreement once they become comfortable with the vendor. And again -- align the application to the vendor's strengths. Know that not every application has to be architected for 99.999 percent availability and run simultaneously in two separate nodes (true active-active), which is what you would see in the most complex, complete multi-provider architecture, Cancila says. "You might want that but it’s not realistic for all apps." This is no easy to task, particularly when a CIO factors in the numerous SaaS applications branching into corporate data centers. But creating the right application architecture is essential as CIOs increasingly take on these so-called cloud broker chores. “The magic is putting the right policies and frameworks in place to dictate what is the mix of what goes where," Cancila says. This story, "Why your cloud strategy should include multiple vendors" was originally published by CIO.